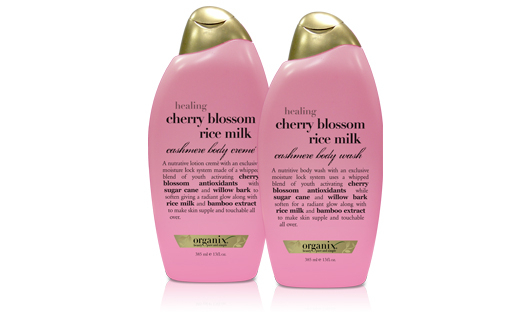 Now that the cherry blossom festival is more or less over, and you missed it like I did, you can appease yourself with the Organix Cherry Blossom Rice Milk Cashmere B0dy Creme and Body Wash. In my opinion, the body creme is one of the most luxurious body lotions for under $10 that I’ve found in a long time. This lotion gives more expensive body lotions a good run for their money. What I like about this lotion; is after applying, if you look closely it actually leaves tiny gold sparkles on your skin. I looked quite luminescent if I say so myself. When it first happened I thought I was seeing things, but no, it really does leave this beautiful light sheen on your skin. Whether you use both products together or not, your skin feels really hydrated. This is inexpensive enough to give yourself the daily treat you deserve every day. The whole Organix hair and body range is fantastic with it’s natural and fruity ingredients. For my hair I’m using the Macadamia Oil shampoo. You can pick up the Organix range at most drug or big box stores. Have a fabulous hump day Daahlings! 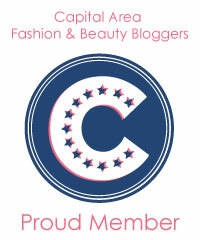 Thank you so much for this!! I see them all the time, now I know how good they are. Believe me you will love it!! !